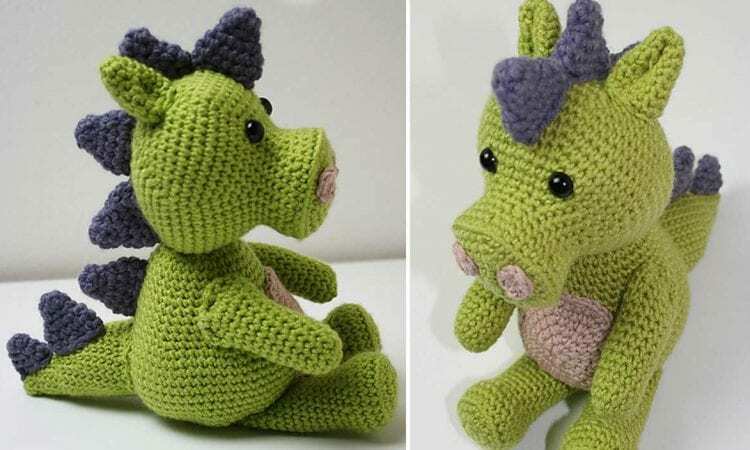 A few day ago I posted link to a Amigurumi Dino; today I would like to show you this cute Crochet Dragon. He can also be a favorite toy of your child. He is just right size to cuddle and carry with a kid. Here on a photo you can see him in a green color, but you can easily personalize it and let your child to pick up their favorite colors. A link to the free pattern is below.